PAINT ‘N COOKIES at the Art Station! We paint Elephants!! 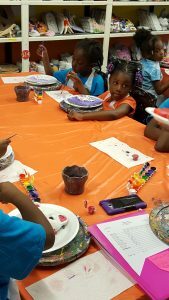 Our kids art classes, also known as “Paint and Cookies” is the most unique art program for kids ages 5-16 in Brooklyn. Since we opened in April 2013, over 10,000 kids have joined in on the fun, and most of them are weekly students! 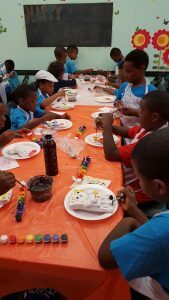 Whats special about our kids art classes is the sessions only last 1.5 to 2 hours and the students walk out with a finished painting on the spot! The students take a “cookie break” in the middle of the session (snacks/drinks are on us!) 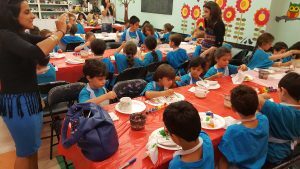 The perfect way to introduce painting to your children is through our kids art classes in Brooklyn NY! Your child will learn from the painting class about mixing colors and various brush and painting techniques. 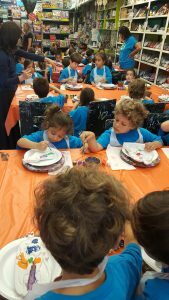 The class walks your child through the painting process from start to finish by step-by-step instruction. Please call ahead of time to reserve a seat for your child and allow our class to run smoothly. 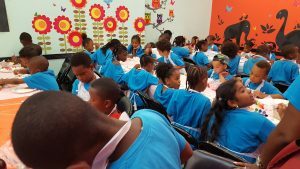 In addition Kids Birthday Party are held in the back your choice of canvas or plaster painting. Today we paint fireworks with P.S. 197 in preparation for July 4th! 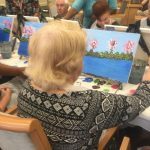 Join us for a painting class or schedule a private event! Having fun painting sculptures with PS244! Just finished paint with the students from P.S. 244! 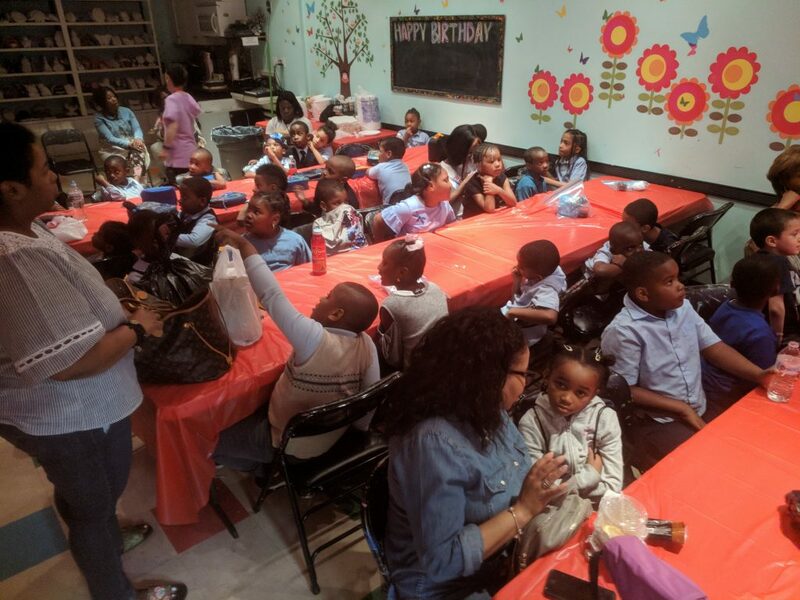 After the festivities, the kids enjoyed their packed lunches and a movie in our party room. Please contact us to book a special event with us in our party room! 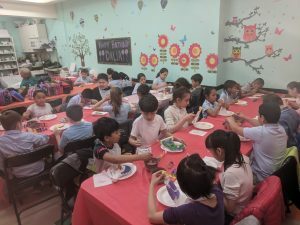 This Week: Art Station hosting PS153! 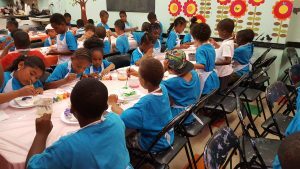 We are happy to be painting with these amazing kids this week. Each student picks out and paints one of our many plaster sculptures. It’s a great time for the whole class! 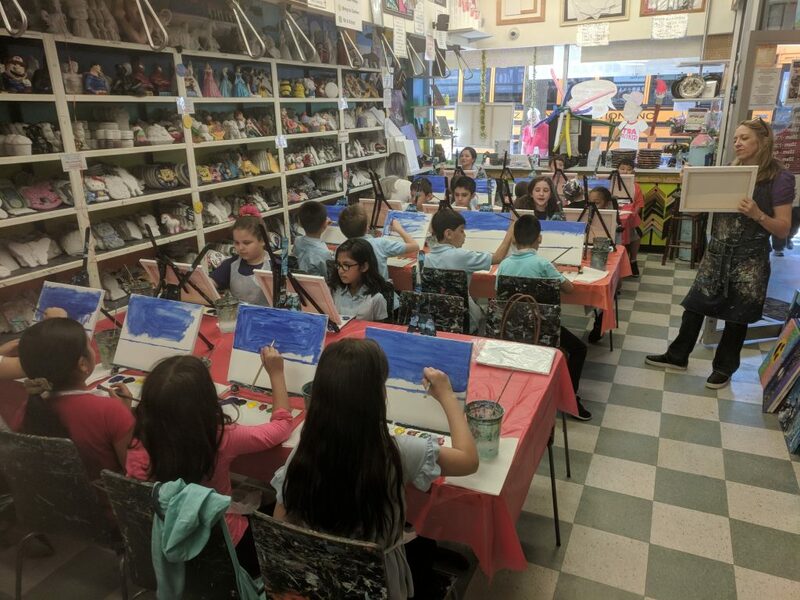 If you represent a school or camp, contact us at info@nyartstation.com or call us at (718)645-4545 to ask about group rates. We are an licensed New York vendor. Come join us for Paint and Cookies! This week we’ll be painting a city silhouette with a shining moon. Each class is approximately two hours long and, at the end, every child walks out with a finished piece of art! 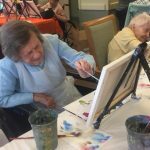 We provide step by step help, all the paints and brushes, and the canvas. 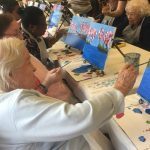 We had so much fun painting with our friends at the retirement home! They made beautiful works of art and were a joy to be with. 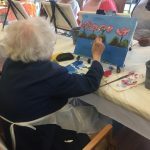 Check out these photos of the participants painting cherry blossoms. While you’re at it, click here to book your own private event! 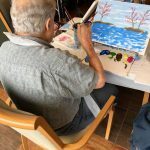 Join us for Paint N’ Cookies! 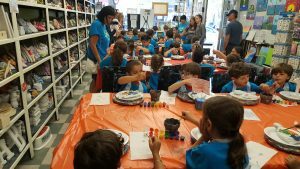 Our kids art classes, also known as “Paint and Cookies” is the most unique art program for kids ages 5-16 in Brooklyn. Please call ahead and save your seat painting this weeks image, “Ocean Shoreline”. Sunday 04/15 at 10:30 am. Click Here for the complete Calendar of Events! PAINT WITH US THIS NEW YEAR!! Art Station has countless plaster sculptures to paint! Everything from superheroes to teddy bears to cars to hearts. The list of fun and beautiful objects goes on and on. 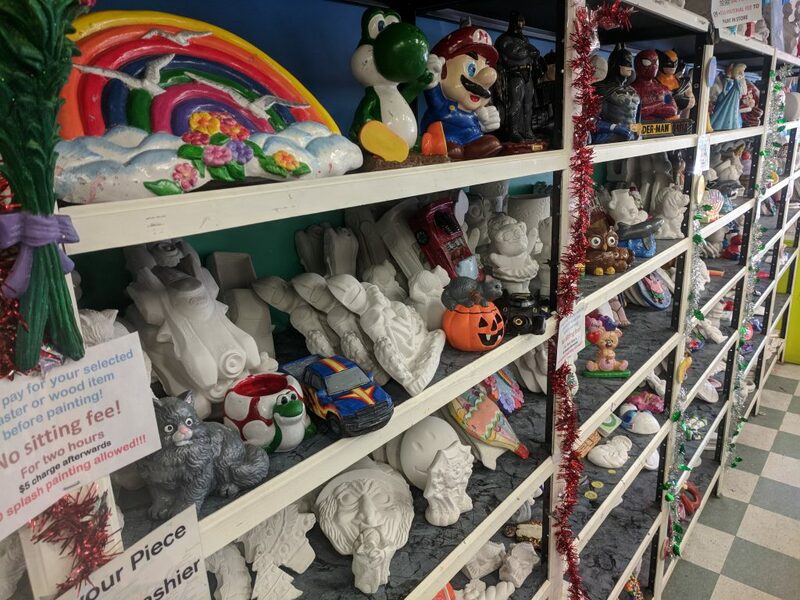 Art Station has countless plaster sculptures to decorate! Everything from superheroes to teddy bears to cars to hearts. The list of fun and beautiful objects goes on and on. We would love to create with you to usher in this new year! for a day of painting and creativity. as the summer heat returns.